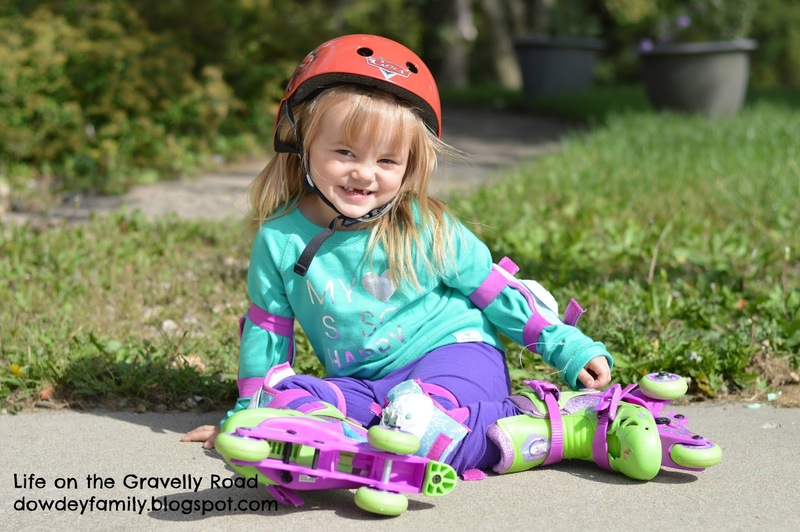 A friend gave the kids skates/rollerblades, a two pairs have been here for a while but the third pair just was given to us a few weeks ago. So a recent Saturday they wanted to try them. We were not very adventurous -- the kids are too new at this. 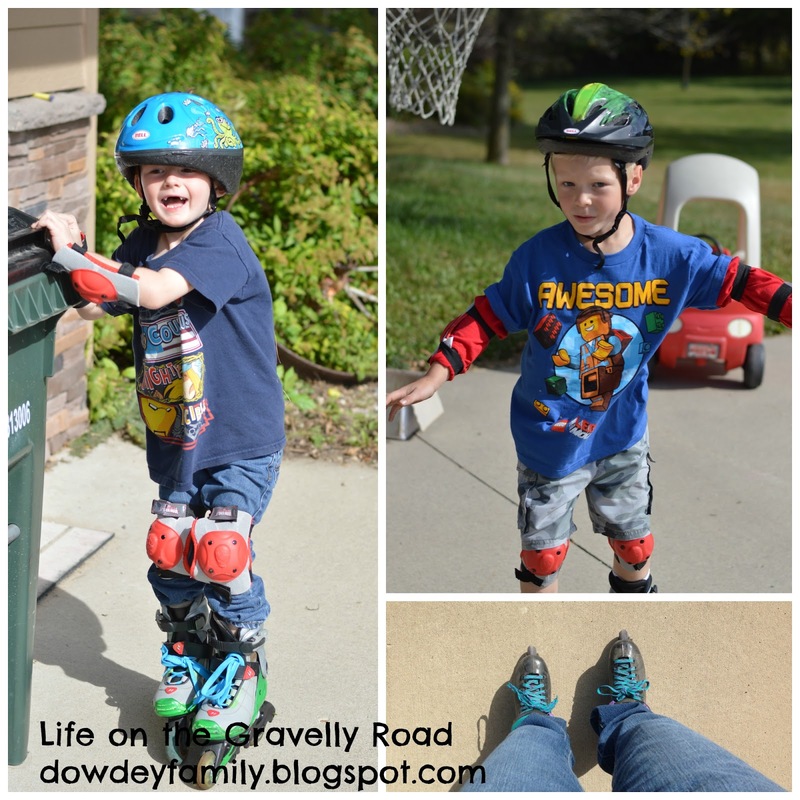 We stayed on our little cement driveway along our gravelly road. Of course, my parents knew about the skates and brought my ancient rollerblades from high school with them on a previous trip to our house (I'm sure they were glad to have them no longer taking up space at their house). So I put my pair on too. The fact that I could turn and not fall down was awe-inspiring to them. Ha! The boys decided making it across the driveway (as wide as our two-stall garage) was their goal. Then they set up the cozy coup midway as a "rescue spot" to crawl to so they could get up when they fell (did I say they have a long ways to go?). This girl tried so very hard but fell down so often, she would just sit and watch her brothers for a while before she tried again. Since then they've tried them on a few more times and each time they are better -- its amazing how quickly kids pick things up. 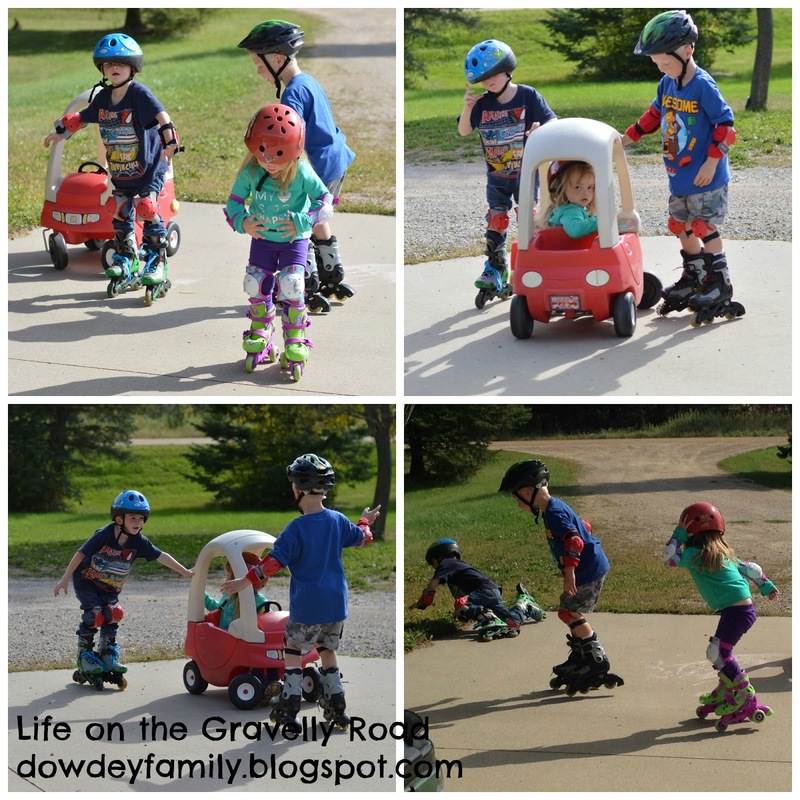 Outdoor fun on a beautiful fall day on our gravelly road.